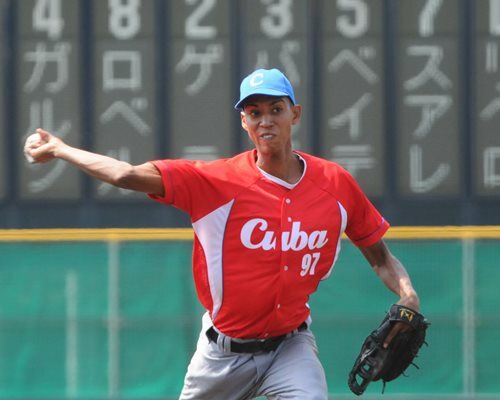 OSAKA, Japan – The 2015 WBSC U-18 Baseball World Cup officially opened yesterday, with Asia, the Americas, Oceania representatives scoring victories, while the European delegations as well as that of South Africa registered losses. Mexico and Czech Republic met at the 2013 U-18 Baseball World Cup. Mexico proved too strong after seven innings (12-2). Mexico have won their last five encounters with European nations. Their last loss came in 2006 when they were defeated by Italy (8-6). Coming into this tournament, Czech Republic are winless against non-European National Teams in their last four participations (18 games). These teams have not met in recent years. Australia have lost their last two U-18 Baseball World Cup games against countries from the Americas, against Canada (17-3) and Cuba (3-2). This match-up is a replay of 2013 U-18 Baseball World Cup in which United States won (3-2). Pitching ace Brady Aiken had 10 strikeouts in seven innings pitched. United States also won the final round game between these teams in 2013 (10-4). In 2012, these leading nations met in the group stage. United States won the contest (10-5) after scoring four runs in the seventh and two in the eighth inning. Cuba and South Africa's last meeting in the U-18 Baseball World Cup came in 2006. Cuba won the game 13-1. That was Cuba's biggest win in the 2006 edition. South Africa have not suffered a bigger defeat since the game against Cuba, coming into the 2015 tournament. Canada and South Korea have met three times since 2006, with South Korea coming out on two in two of those contests. In 2006, South Korea defeated Canada in the semifinal (6-1) en route to their fourth title in the U-18 Baseball World Cup (1981, 1994, 2000 and 2006). They also won the tournament in 2008. Chinese Taipei and Italy have met three times at the U-18 Baseball World Cup since 2006. Taipei have won all three. The last game between these two was in 2010 when Italy scored four runs, most of the three games against Taipei but still conceded 13. Their last meetings should have been played in 2012 but was cancelled due to rain. Chinese Taipei have not lost against any European side since 2006 at the U-18 Baseball World Cup.